Have you heard the news? If you attended the press conference on May 22nd, or saw the footage on Channel 20, then you have heard the YMCA on Highland Ave is closing their pool in one year. But don't fret, with their new campaign, Save The Last Lap, the YMCA is trying to raise awareness about the condition of their pool, and help raise funds for the new one! With the recent additions of an elevator and a pool lift, the YMCA expects the number of patrons who plan on using the pool will grow tremendously over the next year. With more people using the pool, its imperative for any structural and mechanical issues to be addressed soon. The current pool has been in place for over 50 years, and while regular maintenance is done to keep their pool in top shape, its time for an update. Which is why the #SavetheLastLap campaign has begun. Using Twitter, Facebook, and their website, word is being spread about the condition of their current pool and help raise donations for their new one. In in a regular week, the YMCA's pool sees 500 children participating in swim lessons, 80 adults swimming laps, the Y's Barracudas Swim Team, 50 families during family swim, 175 adults participating in water exercise classes, and numerous group homes and special populations using the pool. Information like this and more is available at their website, Plus you can learn how to make a pledge, what the duckies mean, read stories of those that have used the pool in the past 50 years. Enjoy! The Downtown Middletown BID would like to welcome The Sugar Shack to our area! Their Grand Opening was May 2nd at 4 PM. Located at 9 King Street, The Sugar Shack had begun their soft open as of Monday, April 28th. Their menu includes Soft and Hard served Ice Cream, Locally made Italian Water Ices, Hand Made Gluten Free Snacks, as well as Pies, Cake Pops, Candy and More. Feel Free to check out their website here or check out their facebook here. 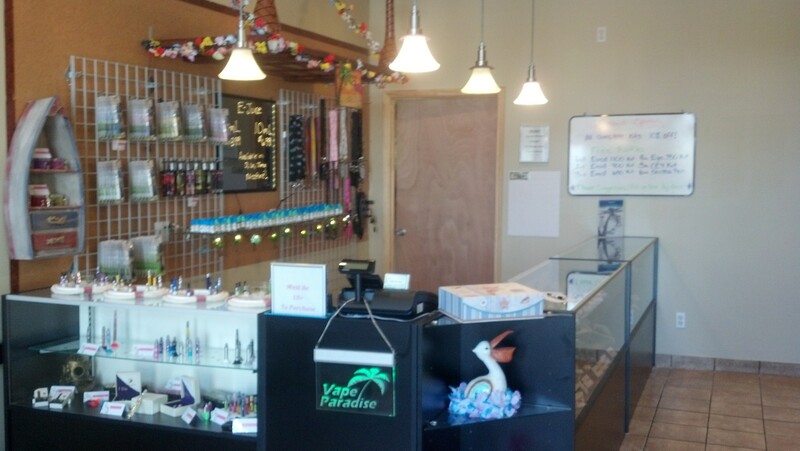 The Downtown Middletown is pleased to welcome Vape Paradise to 7 South Street, Middletown NY. 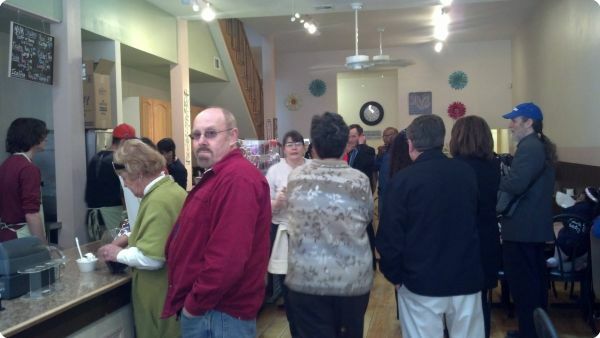 We congradulate them on their Grand Opening, held Saturday, April 26th. This shop covers all your needs, from E-Cigs and E-Juice to Vape pens, Tanks, and Atomizers. And if you ever need new battieres you know where to go. Every week they will have new flavors. To kick off their grand opening they will have 10% off this weekend, and having raffles as well. To view pictures of their Store and their Opening you can visit their facebook page here. Or feel free to visit their website here to find out what flavors of tobacco they have available, to shop online, or to contact them. The Middletown BID would like to welcome Maranatha II to our Downtown Area! Now located at 90 North Street, this resturant celebrated its Grand Opening April 10th, 2014. Specializing in Carribean Food served buffet style. Deland and Roa Michel, Brothers & Owners of this new business are very excited about their new resturant, and are egar to meet the town. For more information about their prices, location, or menu give them a call at (845) 239 - 4590. And remember, if your looking for a place to grab some grub, they are located at 90 North Street, Middletown, NY. Come on out to hear your favorite Oldies, Rock, Folk and Funk, plus so much more. In a Press Conference held on March 4th, 2014, Mayor of Middletown Joseph M DeStefano announced a new addition to the Downtown Middletown Area. H Heritage Properties LLC purchased the Clemson Brother’s Property, located on Cottage Street. Within the next 5 years, residents of Middletown can expect to see numerous changes to the current property, while it still retains its natural charms. Kenan Porter and Tony Tello of H Heritage Properties are extremely optimistic about the project. The plans for the building include Residential and Commercial units that will be finished within the first year of the project. The Residential Units will range from twelve to twenty five hundred square feet, high ceilings and based on an early industrial era of the twentieth century. 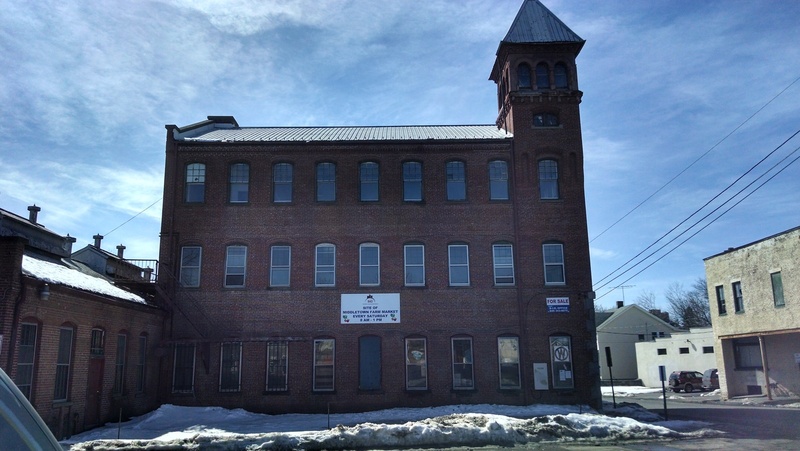 The Industrial Units will retain the 3 businesses that are currently located on site and H Heritage Properties LLC also has plans to bring in others, wanting to bring jobs to the community. They will also be adding a Restaurant and a Micro-Brewery, which is scheduled to be open within two years called Clemson Brewery. The restaurant plans on having an upscale yet rustic factory appearance, with a toned down punk theme with copper tones and notes of the pre-prohibition style era. The food will be an Americana Cuisine, coming from the 1930s to the 1950s. The Micro-Brewery will have a ten thousand barrel annual output, state of the art production, and a line capable of filling 60 bottles per second. Several brands will be contracted out under the company, and they already have a foothold in the distribution system and will be seen all over the north east. Already Porter and Tello are working on their perfect recipe for their beer and are eager to get under way. While the town has given them five years to set up their operation, the two expect to get the project completed sooner. We look forward to keeping an eye out on the project and wish them the best of luck.